This past Tuesday, the BYU Bookstore hosted their annual Holiday Book Talk on campus (sponsored by the Farnsworth Juvenile Literature Library HBLL). Anita Charles, bookstore wonder woman, (she is responsible for buying the youth books, among other things, at the bookstore) accompanied by a cute assistant (sorry, I can't remember her name!) and a PowerPoint slideshow, presented almost 50 books along with descriptions and personal insights. She even read to us from a few of the books and held them up so we could see the pictures (story time!). It was great. I got a ton of promotional items and a lot of info on many great new books. Below, I have included all of the books presented. Many of these books are on sale right now at the BYU Bookstore! Before the presentation started, Anita began with these words, "More than ever we need to stand for books. I have fourteen grandchildren and see so many things with bells and whistles. It takes courage to turn away from those things and decide to give books. The toys my parents gave me when I was young have fallen by the wayside, but the books have remained with me." Books, books the magical gift! On a quiet but wondrous Christmas Eve, the nativity story comes to life, and families everywhere celebrate the miracle of Christmas. 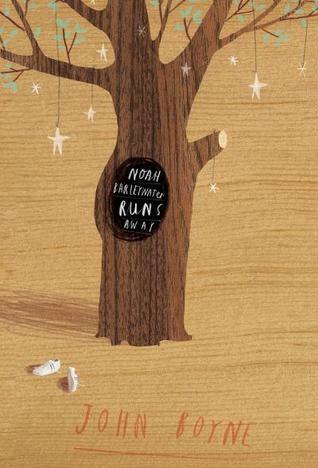 Nola Buck's simple poetic text and tender illustrations by Sarah Jane Wright make this gentle holiday goodnight book a joy to read and share with those you love! With biblical references as a starting point, Linda Sue Park tells a unique Christmas/Epiphany tale about the third gift brought to the infant Jesus by the Magi, the gift of myrrh.A boy and his father are gatherers of myrrh, a precious substance used in important ceremonies. It's the sap of certain trees, hardened into pearl-like beads, and the gatherers look for it on the tree trunks. The boy narrator finds one big enough to fill his two hands. When they take their myrrh to market, this extraordinary "pearl" is bought by three strangers in colorful robes . . . as a baby gift. And as the three men ride off into the desert, the young narrator is proud to have made such a fine discovery, and he wonders about the baby. Luminous, exquisitely detailed paintings of the desert landscape, the myrrh gatherers, and the marketplace make this story breathtaking as well as unforgettable. An author's note discusses the origins of the story and the little-known facts about myrrh. The unexpected story of the creation of a holiday classic - in the most unlikely of places. It is November 1857 in Savannah, Georgia, and the heat is stifling. Choir director James Lord Pierpont is busy writing a song for the children of the church to perform to usher in the holiday season. He is also worried. Many townspeople are angry because the congregation does not believe in slavery, and someone has thrown a brick through one of the church windows. As Mr. Pierpont sweeps up the glass from the broken window, he recalls his own Boston childhood, the sound of sleigh bells, and the fun of riding in a sleigh through the snow. Suddenly he gets an idea. A few days later - with the happy sounds of children singing and jingling bells and bags of "snow" - Mr. Pierpont introduces the delighted churchgoers to the charms of a northern Christmas! A wild little troll runs away from home because he doesn't want to do his chores. Rollo tries living with various woodland animals, but he finds out that there is no place like home, and returns to his family just in time for "the best Christmas ever." Among the animals who take him in are an owl family, a mother bear and two rambunctious cubs, some playful river otters, a hungry lynx and a friendly moose family. 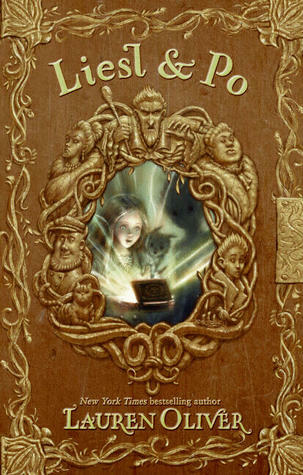 Jan Brett creates an irresistible, mischievous character that kids will recognize in themselves. Jan transports us to a glorious Scandinavian landscape where a beautiful fall turns into a magnificent snowy winter. Her signature borders depict the troll family missing Rollo, and animals as appealing as those found in The Mitten. A warm, fun-loving Christmas picture book for families to share and love and laugh over together. Laurel Long's unparalleled style makes this exquisite volume a treasure that will be cherished for years to come. 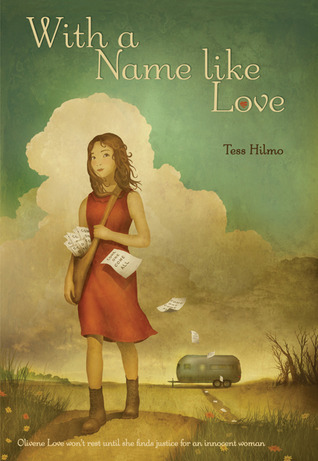 Family, friendship, and the spirit of giving are at the heart of this inspiring picture book. Opening in Depression-era New York, The Carpenter's Gift tells the story of eight-year-old Henry and his out-of-work father selling Christmas trees in Manhattan. They give one of their leftover trees to construction workers building Rockefeller Center. That tree becomes the first Rockefeller Center Christmas Tree, the finest Henry has seen when adorned with homemade decorations. Henry wishes on the tree for a nice, warm house to replace his family's drafty, one-room shack. Through the kindness of new friends and old neighbors, Henry's wish is granted, and he plants a pinecone to commemorate the event. As an old man, Henry repays the gift by donating to Rockefeller Center the enormous tree that has grown from that pinecone. After bringing joy to thousands as a beautiful Christmas tree, its wood will be used to build a home for a family in need. Written by children's nonfiction author David Rubel, in collaboration with Habitat for Humanity, The Carpenter's Gift features charming, full-color illustrations by Jim LaMarche. Join Santa's wild ride in this soon-to-be Christmas classic! When the harness to Santa's sleigh breaks mid-flight, Dasher, Dancer, and the rest of the reindeer gang fly off into the night...leaving Santa and all of his presents stranded! Who will guide Santa's sleigh and save Christmas now? Luckily, Santa lands by a tiny barn filled with sleepy animals. With a twinkle in his eye, Santa sees a solution and wonders how well can cows, sheep, goats, pigs, and an old hound dog fly? OH, WHAT A CHRISTMAS! is an upbeat and humorously sweet holiday story about Santa's soon-to-be-classic wild and crazy sleigh ride one special Christmas Eve. A compelling look at two leaders who held the world’s fate in their hands— and the holiday visit that sealed a friendship and steered the course of World War II. At the height of World War II, President Franklin Delano Roosevelt and Prime Minister Winston Churchill held an extraordinary month-long visit, during which they planned the success of the Allied powers and strategized a continuing peace for when the war ended. Moving from witty banter to gravely serious discussions— amid a traditional public celebration of the Christmas holiday— the two cemented a unique bond as they decided how to confront a menace that threatened all of civilization. Now, on the seventieth anniversary of this event, thanks to the skillful work of author Douglas Wood and illustrator Barry Moser, the story of this remarkable time can be shared with a whole new generation. Become a family tree detective and uncover your family heritage! Accessible language and funny, colorful illustrations make the ever-more-popular hobby of genealogy available to a new generation of family historians. This totally intriguing book contains 32 pages of identical images in which just one element of the picture is different from the others. Amazing and beautiful. Pop star Lisa Loeb brings her wit, wacky humor, and sparkling creativity to the page in her first children's songbook--featuring a CD with four original silly songs plus six all-time kids' favorites! Filled with tons of sing-along fun, this entertaining collection also serves up activities, choreography, and recipes--from creating a kid-style coconut cream pie” to making extra-special (not disappointing!) pancakes. Illustrator Ryan O'Rourke lights up Lisa's lyrics with the most delightful, whimsical art imaginable. 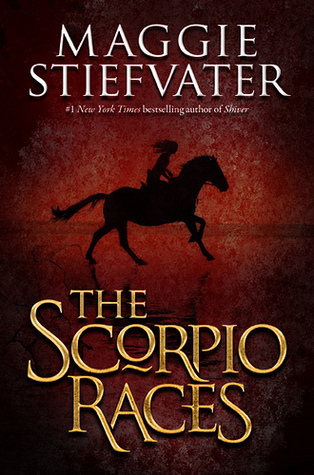 Set in ancient Egypt, this action-packed story follows two thieves, Jackal and Ibis. They are ordered by the Pharaoh to travel to the Palace of the Crocodile Prince in the city of Karnak to retrieve the magical Jewel Fish. When they arrive at the palace, despite the Pharaoh#8217;s warning to take only the fish, Jackal and Ibis also steal gold and other riches. But the weight of the extra treasures causes their tiny boat to sink, and the Jewel Fish comes to life in the water and escapes.pNow it#8217;s up to readers to find the Jewel Fish by logging on to GraemeBase.com, where they will find what they need to open the mechanical device at the back of the book. The device unlocks the secret of how to discover and capture the Jewel Fish for the Pharaoh. The reverse side of the book#8217;s jacket is a poster map of ancient Egypt that gives facts about the actual places and mythological characters in the story. Naamah is the wife of Noah, and her name means "great singer." For forty days and forty nights, as the ark tosses on storm-wracked seas, Naamah sings. She sings to the animals, two by two. She sings to her husband, her sons, and their wives. She sings, and they all sleep, finally at peace. Acclaimed author Susan Campbell Bartoletti’s rhythmic, lyrical text pairs with Caldecott Honor winner Holly Meade’s luminous collage for a cozy, tender lullaby, and an ode to the power of song. 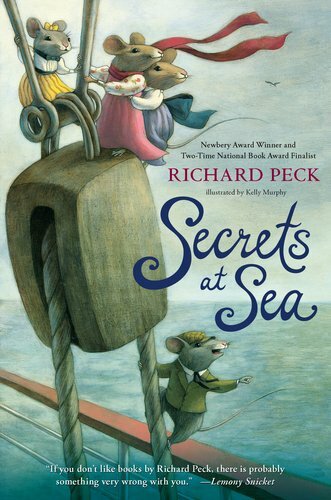 Yes, this new release is by Maurice Sendak! Bumble-Ardy is, in fact, the first book illustrated and written by him since 1981's Outside Over There. Its piglet main character and his story had distinguished beginnings: Bumble-Ardy originally appeared in a Sesame Street animated short created by Sendak and his friend Jim Henson. Its robust pictures and rowdy rhymes are vintage Sendak: "At nine past nine the piggy swine/ Broke down the door and guzzled brine/ And hogged sweet cakes and oinked loud grunts/ And pulled all kinds of dirty stunts." Simply masterful. Edward loves his Stuff more than anything . . .
. . . until he gets buried beneath it. Edward has a lot of Stuff—too much Stuff. Soon the Stuff takes over his house. But will Edward agree to part with his Stuff before it’s too late? Stuff is Margie Palatini and Noah Z. Jones’s hilarious story about the stuff that counts and the stuff that’s just, well, . . . Stuff. "Every Septober, Every Octember, Fall fills my senses with scenes to remember." "Bears gather nuts. Geese hibernate. Squirrels fly south in big figure eights." 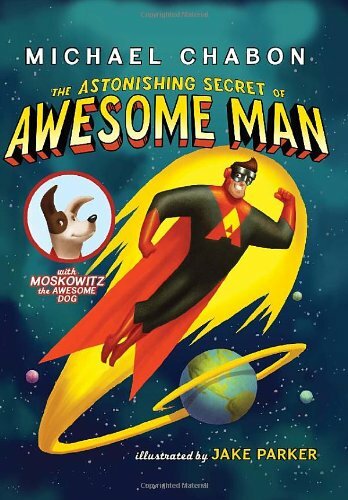 Fall is all mixed up in this silly book from Bob Raczka! Can you find his mistakes in the words and pictures? Samantha can't wait to try out her new roller skates, but Mama's too busy too help her. What's a girl to do? Well, this girl isn't waiting. While Mama tends to other things, Sammy straps on the skates. First she glides down the hallway. Then she tries the sidewalk. Next, she ventures a bit farther down the street. She’s doing great! But when she finds herself cresting Hawthorn Hill, it’s too late to stop-- Samantha is on a roll! The poem about Mary and her little lamb is one of the most popular rhymes in America, but did you know that the rhyme is true? There once was a little girl named Mary who saved the life of a tiny lamb. The two became best friends, and that little lamb followed Mary everywhere - even to school, where the poet John Roulstone visited and immortalized the two in verse. With his trademark folk art style, Will Moses paints the true story behind the famous nursery rhyme and shows how Mary went from being a small-town Massachusetts girl to an American folk hero. Jack, Zack, and baby Caspar spend all day fighting dragons in their homemade fort. But when Sir Zack and Caspar are taken inside for bed, King Jack - alone on his throne - finds himself feeling a bit less brave . . . especially when he hears a thing approaching, a thing with four legs. A rollicking read-aloud with a charming surprise ending and Helen Oxenbury's spare, expressive illustrations, this kid-pleaser is a classic in the making. 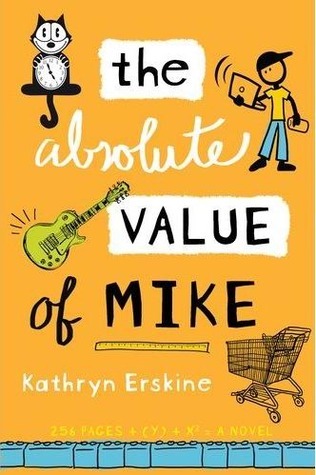 Written by the acclaimed author of The Phantom Tollbooth, this is a simply told story about a boy who moves to a new neighborhood and finds a unique way to make friends. With whimsical illustrations by award-winning illustrator G. Brian Karas, here is a read-aloud that's great for storytime, and is sure to be a hit among fans of Juster, Karas, and anyone who is "the new kid on the block." It's the literary equivalant of buried treasure! Seuss scholar/collector Charles D. Cohen has hunted down seven rarely seen stories by Dr. Seuss. Originally published in magazines between 1950 and 1951, they include "The Bear, the Rabbit, and the Zinniga-Zanniga " (about a rabbit who is saved from a bear with a single eyelash! ); "Gustav the Goldfish" (an early, rhymed version of the Beginner Book A Fish Out of Water); "Tadd and Todd" (a tale passed down via photocopy to generations of twins); "Steak for Supper" (about fantastic creatures who follow a boy home in anticipation of a steak dinner); "The Bippolo Seed" (in which a scheming feline leads an innocent duck to make a bad decision); "The Strange Shirt Spot" (the inspiration for the bathtub-ring scene in The Cat in the Hat Comes Back); and "The Great Henry McBride" (about a boy whose far-flung career fantasies are only bested by those of the real Dr. Seuss himself). In an introduction to the collection, Cohen explains the significance these seven stories have, not only as lost treasures, but as transitional stories in Dr. Seuss's career. With a color palette that has been enhanced beyond the limitations of the original magazines in which they appeared, this is a collection of stories that no Seuss fan (whether scholar or second-grader) will want to miss! GREEP BOINK MEEP! The three little aliens are happily settling into their new homes when the Big Bad Robot flies in to crack and smack and whack their houses down! A chase across the solar system follows in this out-of-this-world version of the classic Three Little Pigs tale. Margaret McNamara (How Many Seeds in a Pumpkin?) 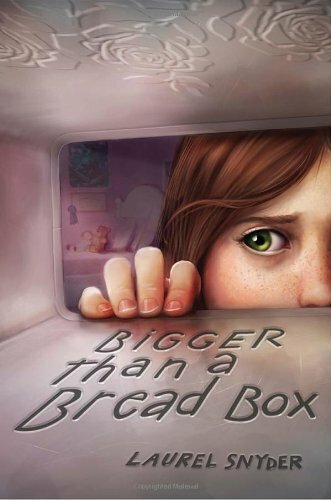 and Mark Fearing (The Book that Eats People) have created a humorous and visually stunning story that kids will adore—and that will introduce them to the planets and the solar system. The endpapers even include a labeled diagram of all the planets. On a ridge above the Kalihari, Lion naps, until Mouse bumbles into him, willy-nilly, startling him awake. After a show of teeth, Lion is softened by Mouse's pledge of loyalty and sets him free. Mouse's keen skill, and deeper kindness. Mouse and Lion, Aesop's fabled duo, renew their ancient bond in this warm retelling by Rand Burkert, illuminated by the authentic natural detail of Nancy Ekholm Burkert's art. Cuddle up with your little penguin this winter! "The world is big and I am small." Like Star Wars before it, The Wizard of Oz is a marriage of phenomenal Scanimation and one of the most beloved movies of all time. It also continues to be a vital icon: Warner’s 2009 release of the 70th Anniversary Ultimate Collector’s Edition won DVD critics’ and numerous other awards; Warner Brothers Kids just launched wizardofozkids.com; and in 2011, Andrew Lloyd Webber is staging The Wizard of Oz on Broadway. Now it’s found yet new life through Rufus Butler Seder With equal parts love and skill, he’s created 10 compelling Scanimations, taking us over the rainbow. 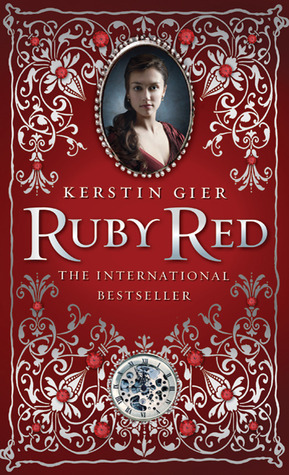 A glittering, ruby-red cover is the final, delectable touch. Thirteen witty and wacky poems pose riddles that challenge readers to "Name That Book." With a glass slipper here and a spiderweb there, Lynn Munsinger's adorable illustrations lead young readers to the solutions. From Goodnight Moon to Madeline, children and parents alike will delight in recognizing their most cherished stories. And dust of dreams that catch and cling For years and years and years . . . In this evocative collection of poems illustrated by beautiful handmade quilts, Anna Grossnickle Hines explores peace in all its various and sometimes surprising forms: from peace at home to peace on a worldwide scale to peace within oneself. Pondering the meaning of peace and its fleeting nature, this book compels each of us to discover and act upon peace ourselves. Awesome Man can shoot positronic rays out of his eyeballs, fly as straight as an arrow, and hug mutant Jell-O! Even villains like Professor Von Evil and the Flaming Eyeball are no match for this caped crusader. 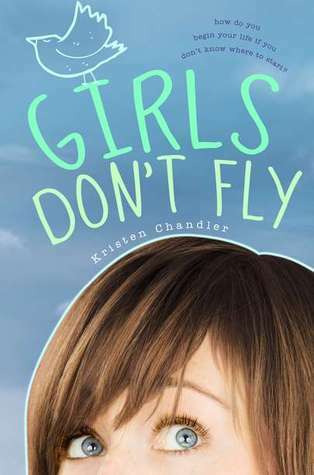 Set in the Salt Lake City area, Girls Don't Fly is full of intelligence, humor, and is a refreshing change of pace for teen readers. An ambitious Stone Age man demands a talisman that will harden his heart, allowing him to take control of his tribe. 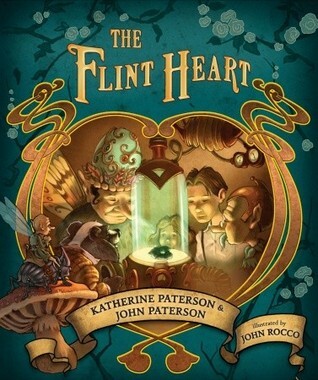 Against his better judgment, the tribe’s magic man creates the Flint Heart, but the cruelty of it causes the destruction of the tribe. Thousands of years later, the talisman reemerges to corrupt a kindly farmer, an innocent fairy creature, and a familial badger. Can Charles and his sister Unity, who have consulted with fairies such as the mysterious Zagabog, wisest creature in the universe, find a way to rescue humans, fairies, and animals alike from the dark influence of the Flint Heart? This humorous, hearty, utterly delightful fairy tale is the sort for an entire family to savor together or an adventurous youngster to devour. Together with Ian Schoenherr's breathtaking illustrations, this is a truly stunning package from cover to cover. 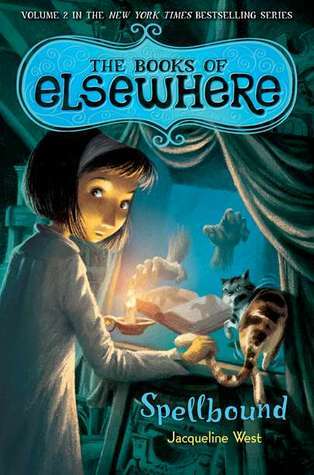 With no way into the house's magical paintings, and its three guardian cats reluctant to help, Olive's friend Morton is still trapped inside Elsewhere. 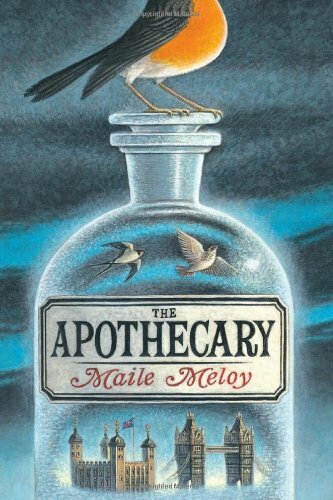 So when Rutherford, the new oddball kid next door, mentions a grimoire - a spellbook - Olive feels a breathless tug of excitement. 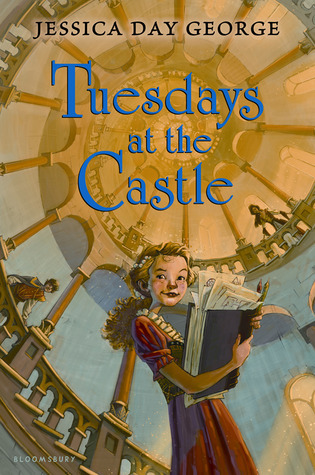 If she can find the McMartins' spellbook, maybe she can help Morton escape Elsewhere for good. Unless, that is, the book finds Olive first. The house isn't the only one keeping secrets anymore. 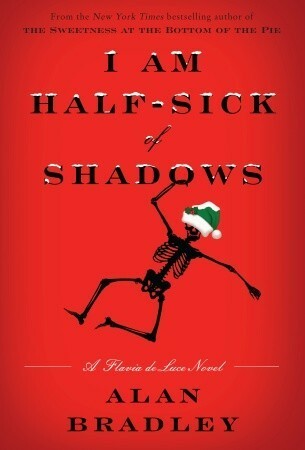 Mystery, magic, corruption, and betrayal abound (plus just enough laughs to take the edge off). You'll never guess what happens next in this thrilling, chilling second volume in the critically acclaimed series. The Earth is being invaded, but no one knows about it. When Jake, Rachel, Tobias, Cassie, and Marco stumble upon a downed alien spaceship and its dying pilot, they're given an incredible power—they can transform into any animal they touch. With it, they become Animorphs, the unlikely champions in a secret war for the planet. And the enemies they're fighting could be anyone, even the people closest to them. If someone told you Earth was under a secret invasion, what would you think? Rachel had a hard time believing it, even after she and her friends saw what they saw—and received an incredible power to become any animal they touch. Rachel knew they were in danger from the start, so when it's suggested that they use their new powers to spy on one of their enemies, she rises to the challenge. When Tobias and his friends were given the power to morph, they were also given an important warning: Never stay in a morph for more than two hours. But Tobias broke the time limit, and now he's trapped in the body of a hawk—forever. Tobias won't give up, though. So when he discovers an important Yeerk secret, he knows he has to do everything in his power to destroy it. It all started with the dreams, but Cassie didn't pay much attention to them. She and her friends have been having nightmares ever since they acquired their power to morph. 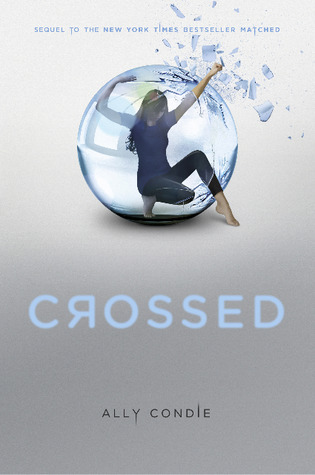 But when Cassie discovers that Tobias has been having dreams too—the exact same dreams— and a voice that's calling to them for help, she decides it's time to start listening. 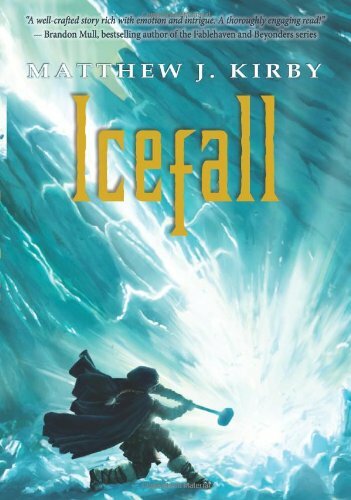 The first in a middle-grade action-adventure series from Roland Smith! 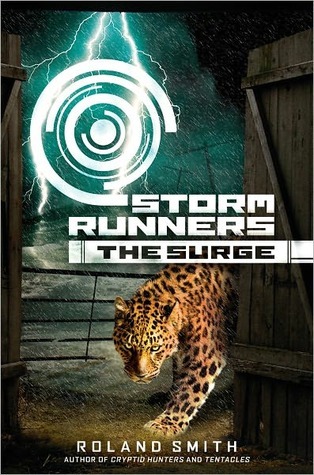 Chase and his friends Nicole and Rashawn have just survived Hurricane Emily, the storm of the century, but their troubles are just beginning. Though they've made it to the safety of Nicole's family's farm -- the winter home of the Rossi Brothers Circus -- the flood waters are rising and they need to reach higher ground. The circus's lions have escaped their cages, and a mean and unpredicable leopard is also on the loose. And then, of course, there's the problem of the wildlife preserve next door! 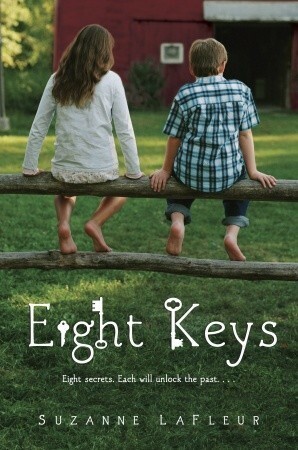 Have Chase and his friends lived through a terrifying night only to face a new danger? 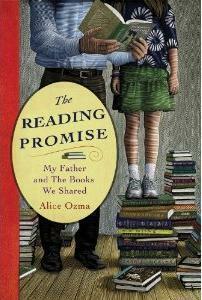 When Alice Ozma was in 4th grade, she and her father decided to see if he could read aloud to her for 100 consecutive nights. On the hundreth night, they shared pancakes to celebrate, but it soon became evident that neither wanted to let go of their storytelling ritual. So they decided to continue what they called "The Streak." Alice's father read aloud to her every night without fail until the day she left for college. Books included in the Streak were: Great Expectations by Charles Dickens, the Oz books by L. Frank Baum, Harry Potter by J. K. Rowling, Alice's Adventures in Wonderland by Lewis Carroll, and Shakespeare's plays.